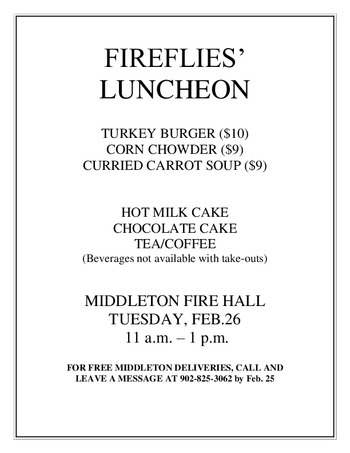 Middleton & Area Fireflies invite you to a luncheon. Featured on the menu - turkey burgers, cranberry sauce, coleslaw, hot milk cake or chocolate cake, tea, coffee, all for only $10.00! 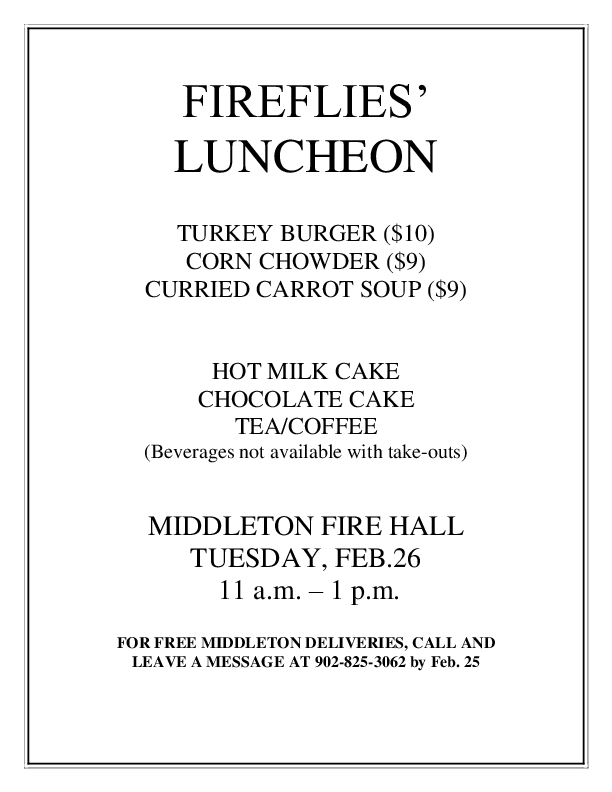 Also available at $9.00 each will be homemade curried carrot soup and corn chowder, crackers and rolls. If you prefer to eat at home or at work, call Bonnie at 902-825-3062 for free delivery in the Middleton area.